Newborn eye discharge can be caused by numerous factors and the most common one is blocked tear duct. This article details the possible causes and tips to manage it. Umbilical cord bleeding is usually normal, but it requires medical attention if infection, active bleeding or fluid from granuloma occurs. Read for some home remedies. 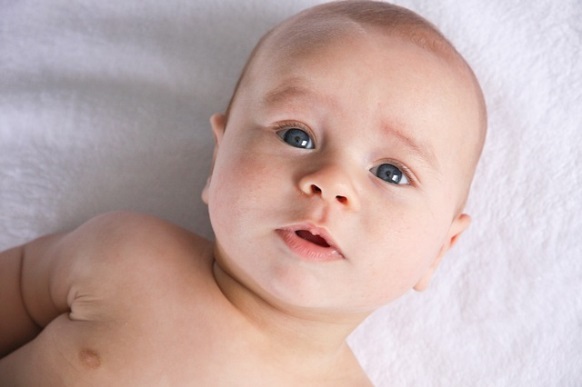 Measurement of baby head circumference is a critical routine for newborn, infant and toddler. It can indicate any developmental problem and even intelligence of the baby. Grunting baby syndrome is usually a temporary syndrome while your baby is learning to have bowel movements. Learn what is going on with your baby and what to do. How to get rid of jaundice in newborns at home? Newborn jaundice is a yellow discoloration in baby's skin and eyes and can be treated at home with sunlight exposure, lamp therapy, etc. Rectal bleeding in children can be due to several causes. Fortunately, most causes are benign and can be managed via simple remedies such as maintaining the hydration and fiber intake. Dry hacking cough in child can lead to sleepless nights. Besides medical treatments like cough drops, you can cool and humidify the air to provide relief for your child. Home remedies for stomachache in children such as yogurt and honey are effective in soothing child's stomach. However, do call a doctor if any particular symptoms appear. What do common baby skin conditions such as eczema and cradle cap look like? Babies may have various skin conditions, these 10 are the most common and should be treated with great care. Warts are skin infection caused by HPV. Warts treatments like salicylic acid or duct tape can be applied when warts get painful and provide relief for your kids.